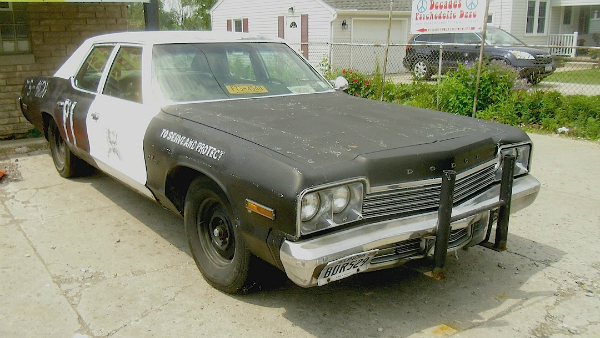 If you have a 1974 Dodge Monaco four-door sedan just lying around, may as well make it a Blues Brothers replica. The motto “to serve and protect” on the front fender may well refer to the bar which this beast was parked in front of in West Seneca. At least the “to serve” part. Jim Corbran, RRofWNY …and check out our Facebook page: Un-American Classic Cars The post RealRides Of WNY appeared first on Buffalo Cars.